Harness the power of slugs without sacrifices. 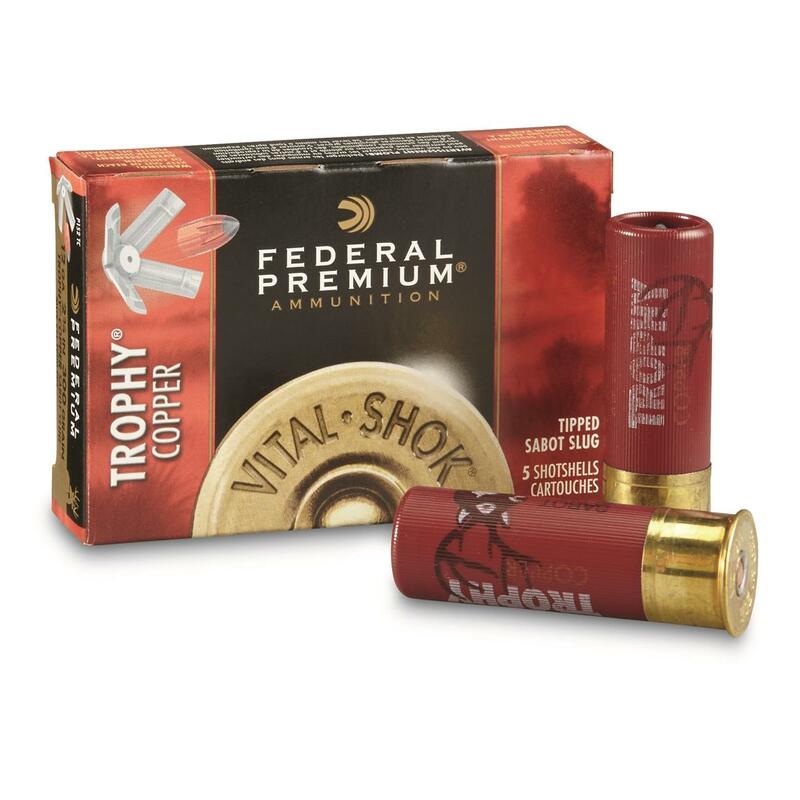 The Federal Premium® Vital-Shok Slug uses a unique two-part sabot design to produce rifle-like accuracy at 200 yards through rifled barrels. The slug's deep, externally skived nose cavity provides superior expansion, while the polymer tip and sleek profile increase downrange velocity and game-dropping energy. Excellent for medium game. 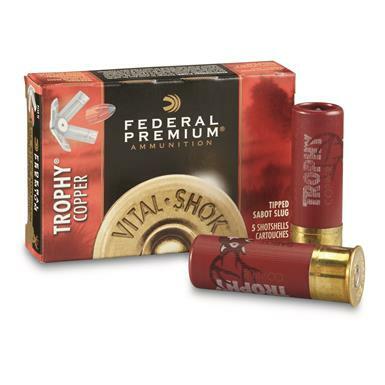 Federal Premium Vital-Shok, 12 Gauge, 2 3/4 , 300 Grain Sabot Slugs, 5 Rounds is rated 2.7 out of 5 by 45. 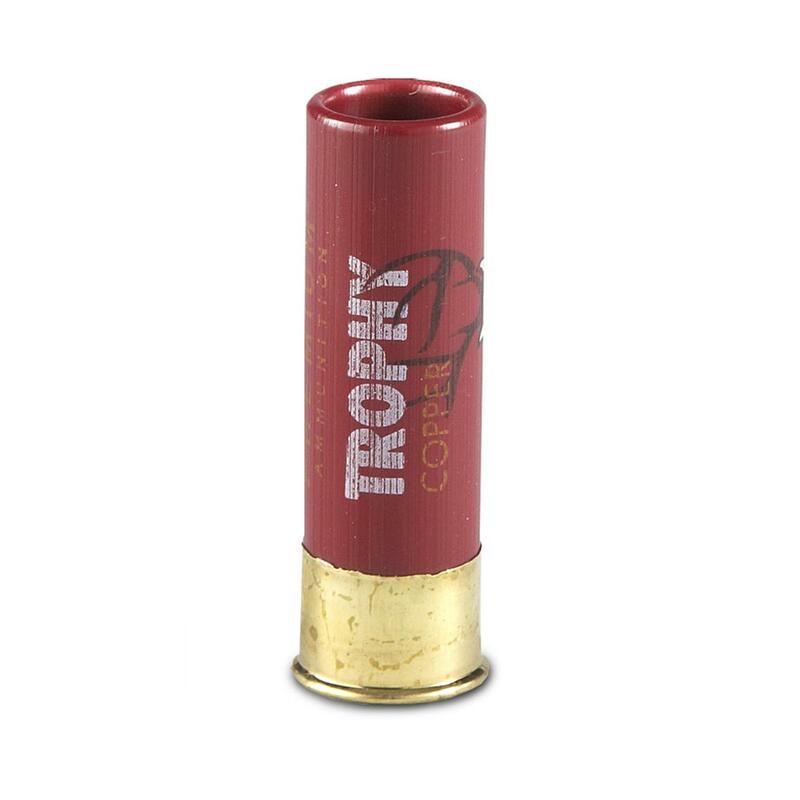 Rated 5 out of 5 by Sp101man from Awesome round So far I’ve shot four deer with these slugs, and two of the four dropped where they stood, one ran 20 yards, and another would have gone farther but I shot him again and dropped him. Only one failure to exit with the shot being at 15 yards, but I did shoot him in the scapula, with the round hitting the scapula on the other side. The ones that did manage to run left a blood trail a blind man could follow. These are the only slugs I’ll use. I haven’t even taken my 30.06 out of the safe in four years now. Rated 5 out of 5 by Stubby from They will shoot! Don’t know how they perform on deer yet, been rifle hunting. But through my Hastings equipped, Leupold scoped Remington 1100 they shoot mildly enough on my end and group 5 at 1.5 inch at 50 yards just about 1.75 high and then just about a half inch low at 25 and 100. All would be on a coffee cup all day long. A little pricey but go where they are supposed to. Rated 4 out of 5 by DJH257 from Accurate and deadly After years of using a muzzle loader for the deer season here in Ontario, I decided to take the plunge and get a Hasting rifled barrel for my M1100 (yes I am old <g>). I tried a number of sabot brands and the Federal ones were the most accurate (3 shots basically touching at 50 yds) although the Hornady ones were pretty close and slightly less expensive. I shot a deer with the Federal round and it went down within 20 yards. The slug did not exit, which was a bit of a surprise given that the range was only about 75 yards. It had expanded perfectly and did what it was supposed to do with no loss of weight. It is only 1 data point but I am pleased with it. I did not give it 5 stars since it was only 1 deer, however the gun functioned perfectly, the bullet landed where I was aiming and the deer went down. Rated 4 out of 5 by Johnnyboy from Nice, but not Barnes I've used these 3 years now and though I've got every deer I've shot with them I always had to search hard to locate downed deer. No blood sign til body cavity fills to entrance wound. Always find slug in hide on opposite side. A little less expansion with more penetration would be great. "A ship sinks slowly with but one hole" When you have to hunt close to other hunters, this makes a big difference.